I won’t lie to you: I’ve always been intimidated by eggplant. While I was raised vegetarian, I can’t remember my mom ever serving it at home. 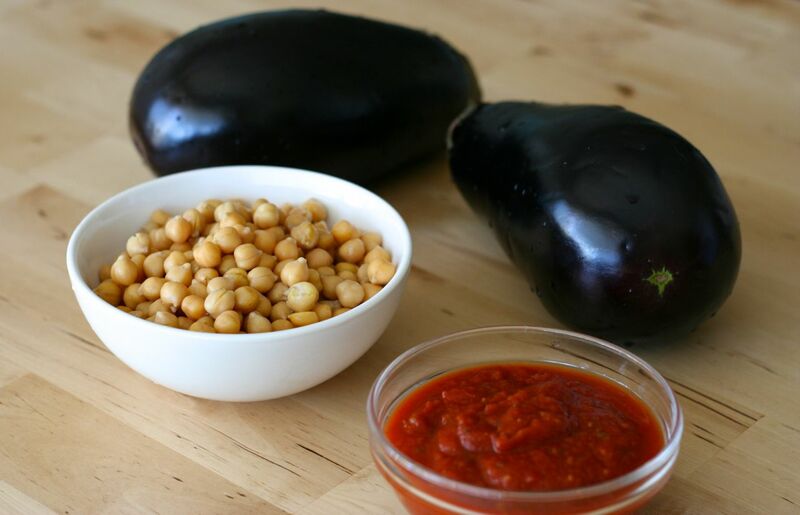 And when I developed an interest in cooking, eggplant seemed foreign and high maintenance, so I just avoided it. The process of salting, draining and rinsing it really turned me off (anyone else? ), and I assumed that was the only way to make it less chewy. I’m happy to report that after some experimenting, I’ve been successful at getting its creamy and silky texture – no salting or excessive amounts of oil involved. It turns out you just have to be patient and cook it slowly. Well, that’s a relief. 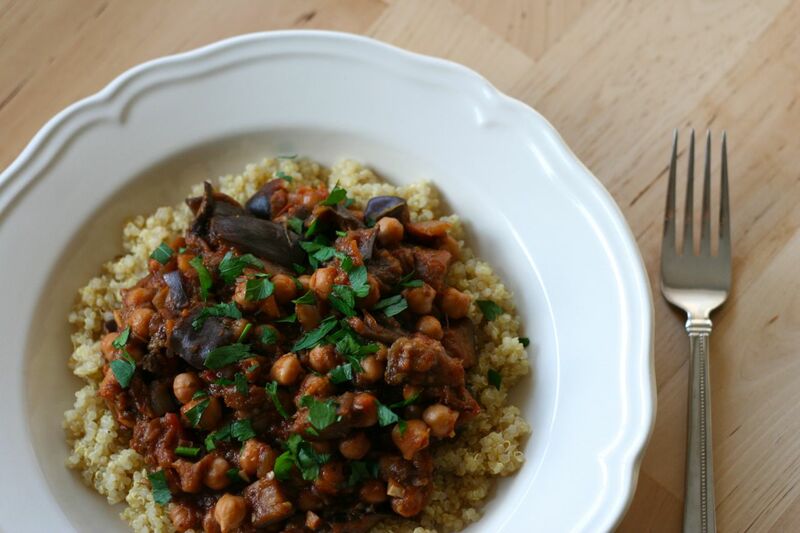 This eggplant and chickpea dish is simple and very tasty. We’ve been enjoying it over quinoa, but rice would also work nicely. Heat oil in a cast iron dutch oven over medium-high heat. Sauté the onion for five minutes, until soft. 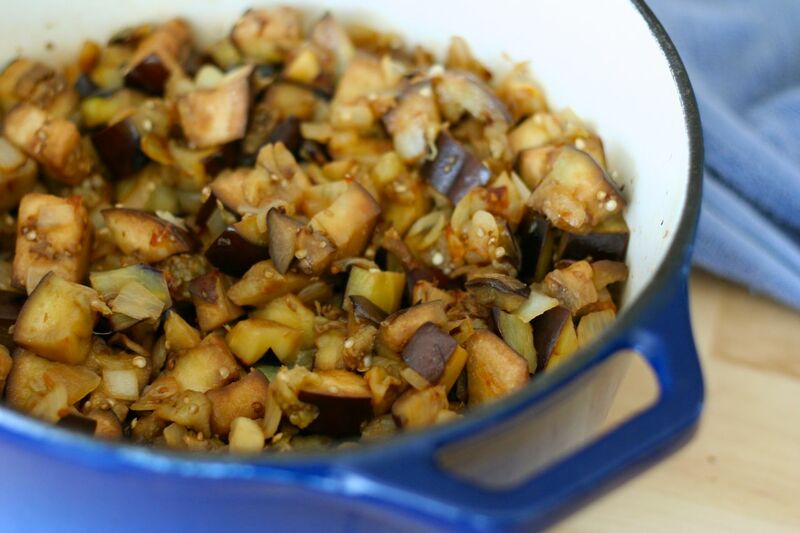 Add the eggplant and cook for 10 minutes, until it begins to brown. Add garlic and spices, stir well and cook for one minute. Stir in the tomato sauce, vinegar and water, and bring to a simmer. Reduce heat to medium and simmer for five minutes. Remove from heat and stir in the chickpeas. Season with salt and pepper, to taste. Cover and transfer pot to oven. Cook for 45 minutes, or until the eggplant is tender. 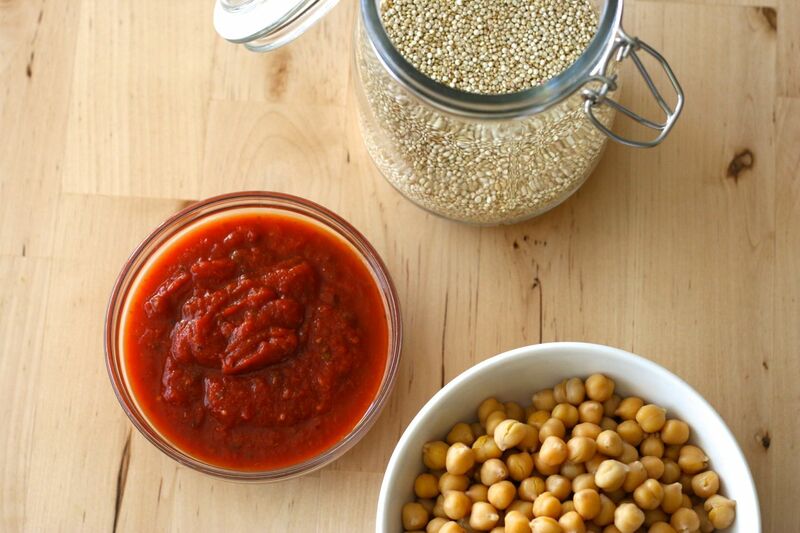 Enjoy over quinoa or rice, sprinkled with parsley. 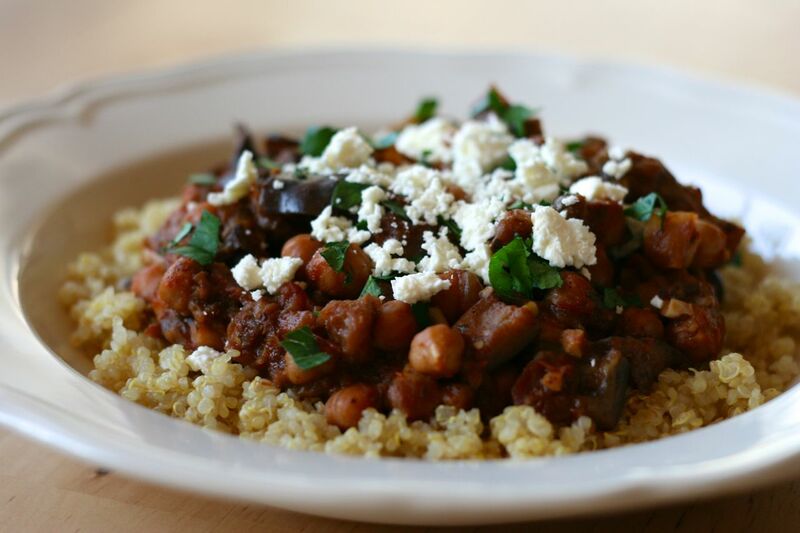 Also delicious with crumbled feta. Serves 6. Recipe adapted from Vegetarian Times.